The products that have me *almost* excited for Autumn! Can you believe that tomorrow is the first day of September? In some ways the summer has flown by but in others, it feels like we really had a long summer as the good weather pretty much started in May. Regardless, we can't stop the hands of time and with Autumn almost upon us, I have been thinking about the products that I want to put into rotation over the coming months (not too soon though because I go on holiday next weekend!). I have a selection of nails and makeup and when I look at these colours, I am *almost* excited for the change in season! For my birthday, my lovely friends Dagmara, Leanne and Dorota gave me the Becca Be A Light Face Palette. Those ladies know me so well - they knew that this palette would be right up my street! 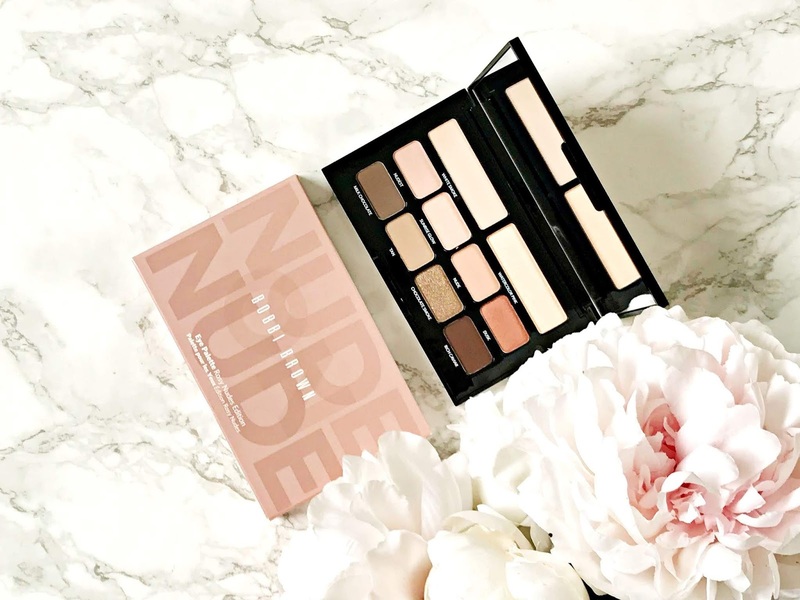 Anything that promises to blur pores and enhance the complexion will always grab my attention and I had wanted this palette for a while so was thrilled to receive it! 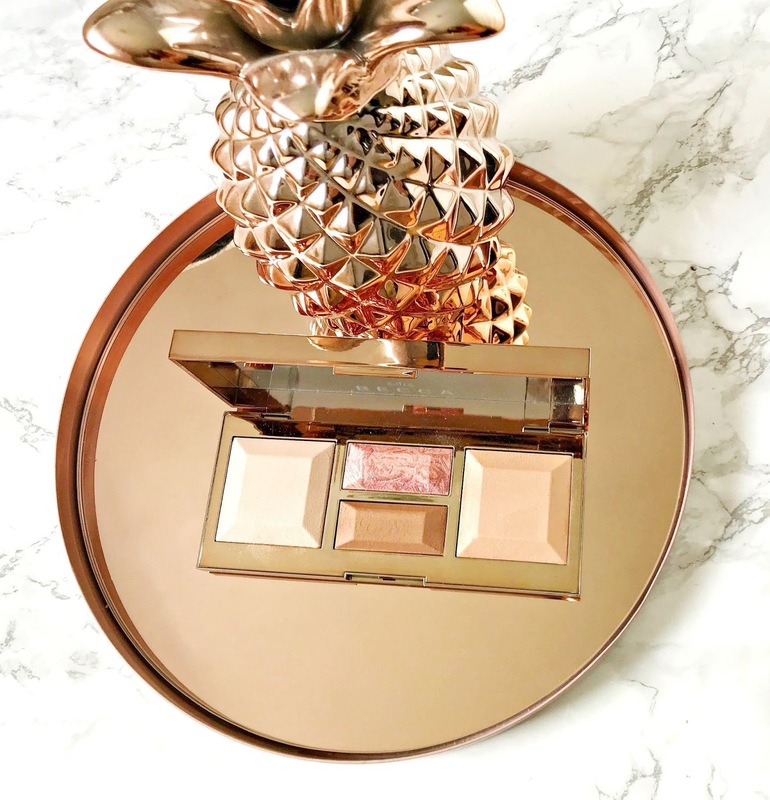 Becca is a brand that most people associate with highlighters but this palette shows that the buttery soft formula extends beyond one product. I love a dramatic look to my lashes but I have tricky eyes - oily lids, watery eyes and quite sensitive eyes so it's very important that I bin mascaras after around 4/5 months, even if there is plenty of product left in them because of risk of infection (I didn't always stick to this rule and my eye lids would swell, which resulted in my brothers calling me the beast from Beauty & The Beast!) . 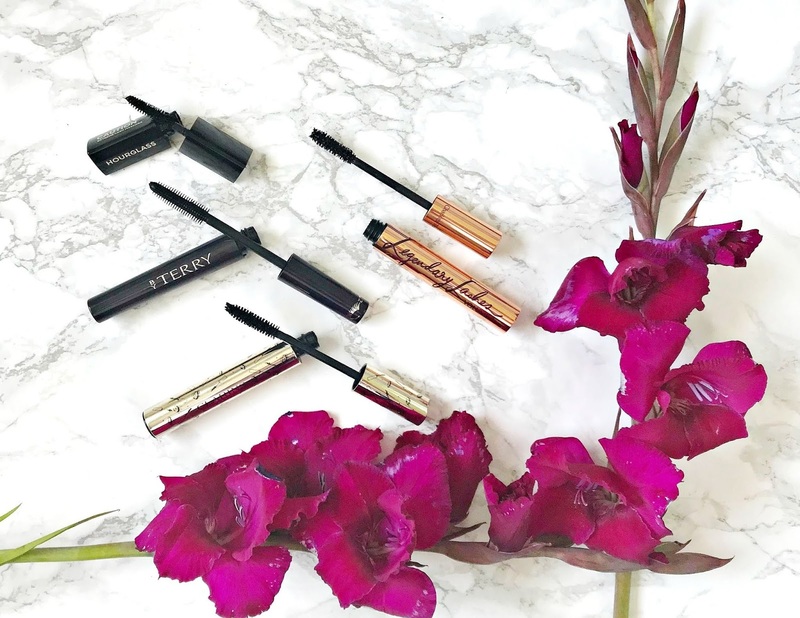 Because of that I always have a stash of mascaras on the go and I want to share my thoughts on my most recent additions with you today. When I saw the preview of Natasha Denona's Camel Palette, I couldn't resist ordering! I love everything about her eyeshadows - the pigmentation, texture, blendability and wear time. The shade selection also really appealed as they looked pretty much like my everyday colours. 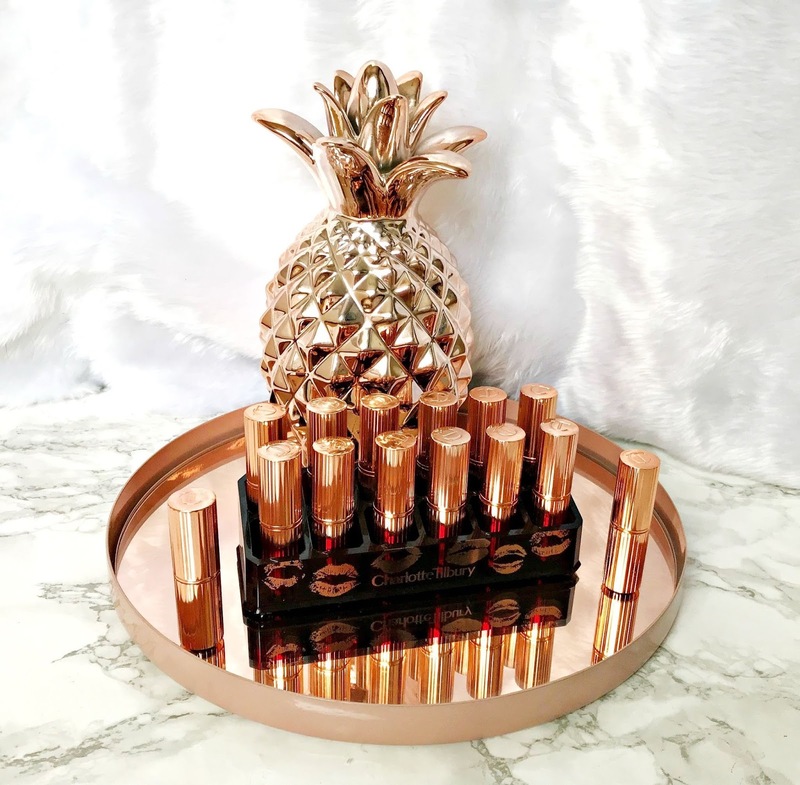 Hands up if you're a member of #charlottetilburyaddictsanonymous? I am but I guess it isn't very anonymous given that I'm sharing my lipstick collection with you today! This idea really only came to me when I bought a Charlotte Tilbury lipstick holder during her summer sale and realised that I should have bought two because they don't all fit in one! I'm only talking about traditional lipsticks today because I only own one of her liquid lipsticks and if I'm honest, I never wear it so it's going into my clear out pile that I'm gathering this week as I know that somebody will like it and wear it more than I do. Hyaluronic Acid is a powerful humectant, which makes it a key ingredient for all skin types as we age to keep skin looking firm and plump. 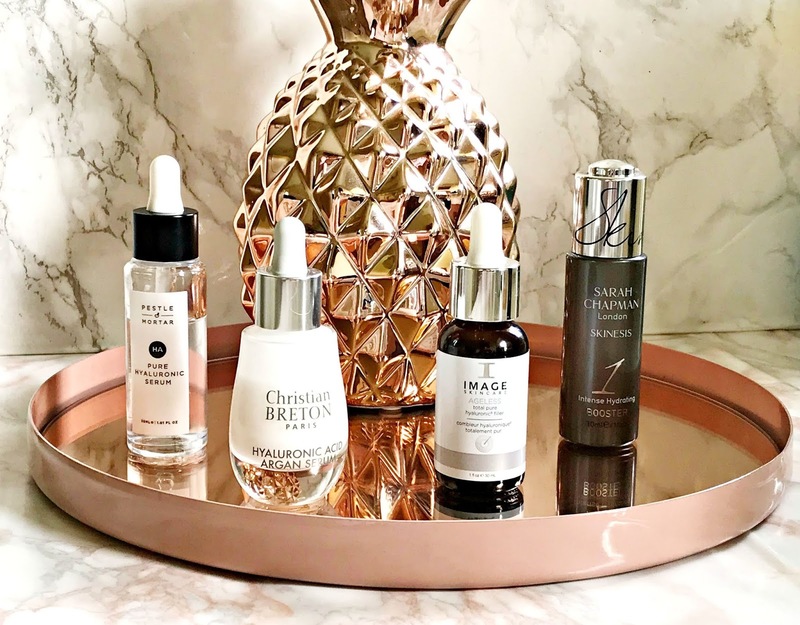 I use hyaluronic acid products on a daily basis and couldn't imagine what my skin would look like without using H.A. products! I always maintain that it is better to pay more for your serum than moisturiser as serums do more work as they penetrate the skin more deeply. I have four Hyaluronic Acid serums to share with you today, with prices ranging from £36 to £75. Obviously, you don't need all four - I'm a skincare junkie and enjoying trying lots of products! It's that time of the month again when payday is approaching and lots of us are thinking about the possibility of treating ourselves. I usually post three budget categories but this month, I am including an under £10 section because I have an absolute bargain to share with you! 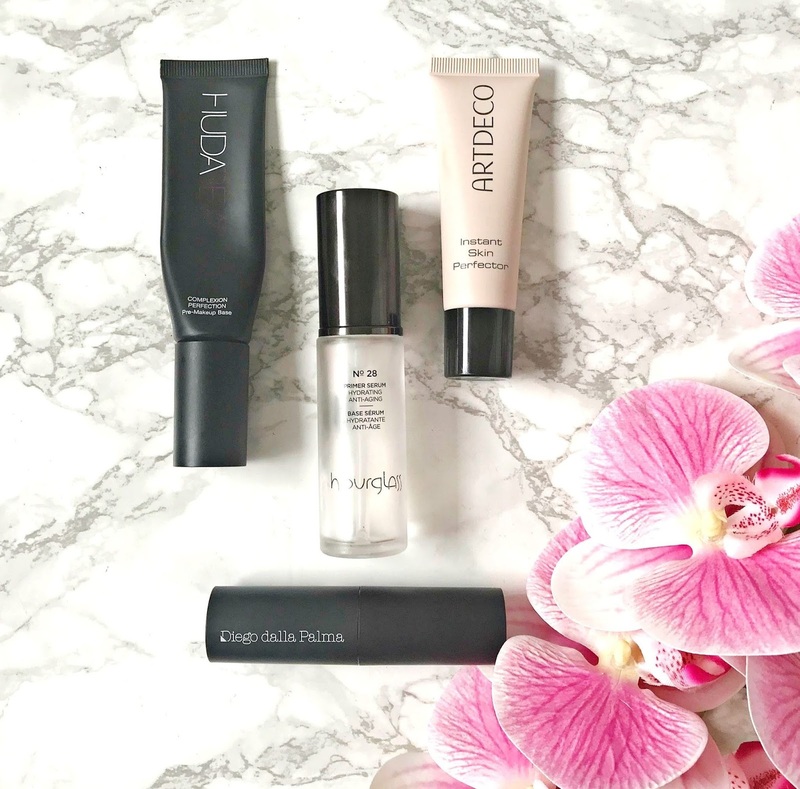 If you read my Foundation for Dry Skin Edit, you will have noticed that I didn't include any stick foundations - the reason being that I personally have never found them the easiest to work with. 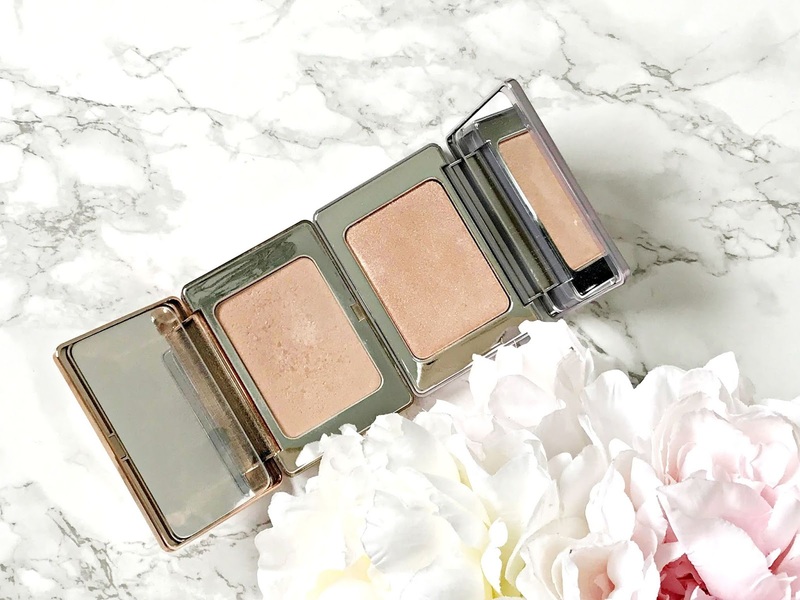 That being said, they do give an even flawless finish so when I was recently sent Diego Dalla Palma Makeup Studio Eclipse Foundation, I was determined to make it work. This foundation has a creamy texture, which means it is off to a good start but I have found that the key to making stick foundations work for dry skin, is primer and I have three to recommend. Want to save almost £60 on Clinique products? Of course you do! 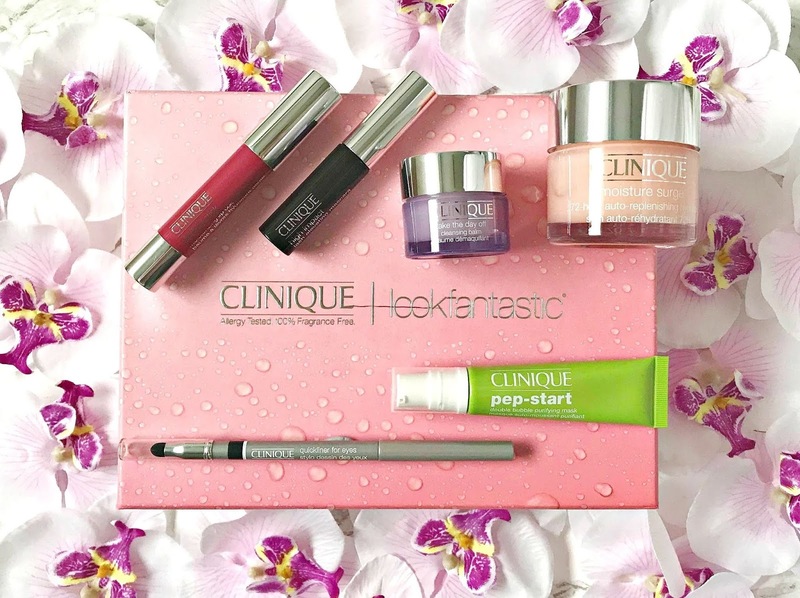 Lookfantastic have teamed up with Clinique to produce a limited edition beauty box. 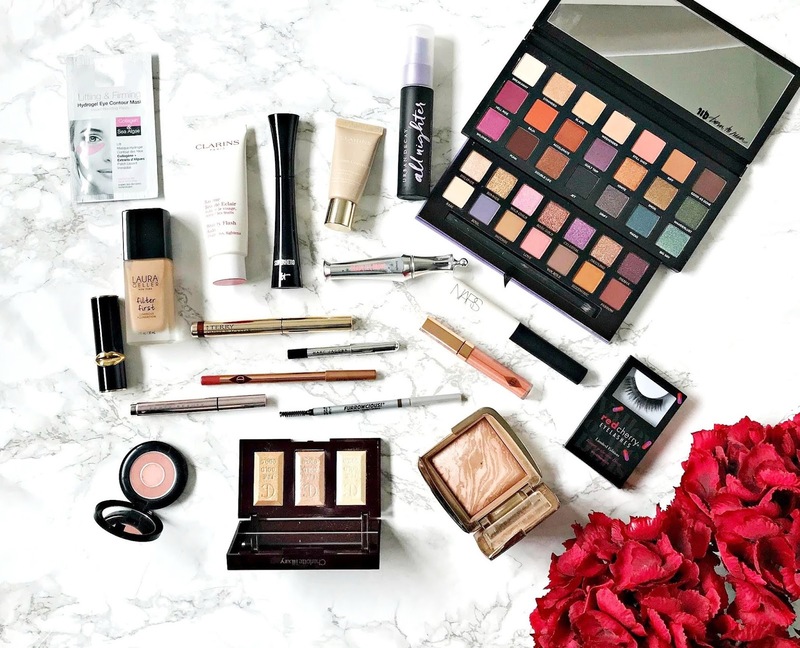 It contains both skincare and makeup products, with a value of £93 but it's priced at only £35, which is amazing, considering that three of the products are full size. So, what's inside? We can apply all of the products in the world topically but the best way to improve our skin and overall health is through what we eat and drink. 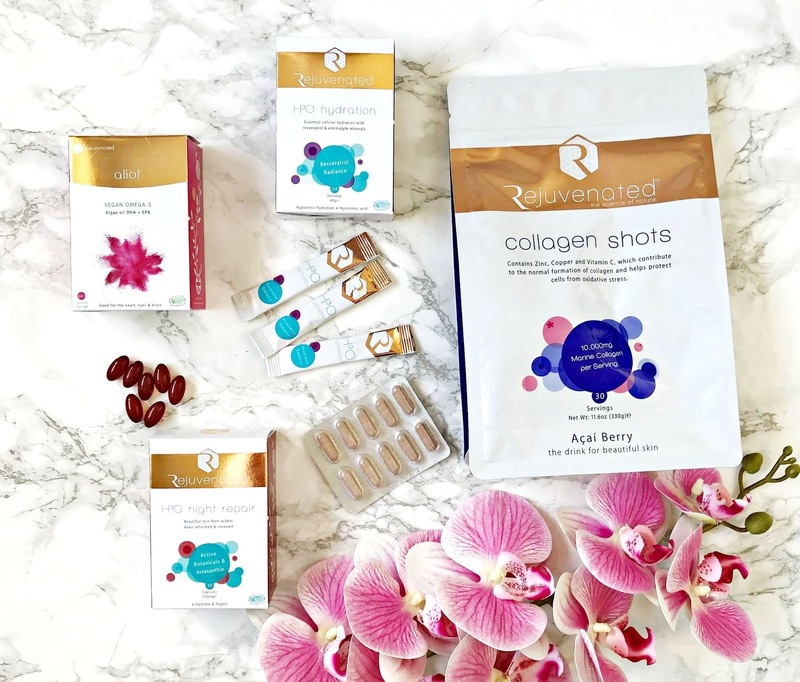 It can be tricky to get all of the nutrients that we actually need through our diet so this range of supplements from Rejuvenated are ideal for supplementing our diets. I have been taking the supplements for almost five months now and loving the results so I wanted to share my thoughts with you today and also offer you the chance to win a set of supplements worth almost £120! 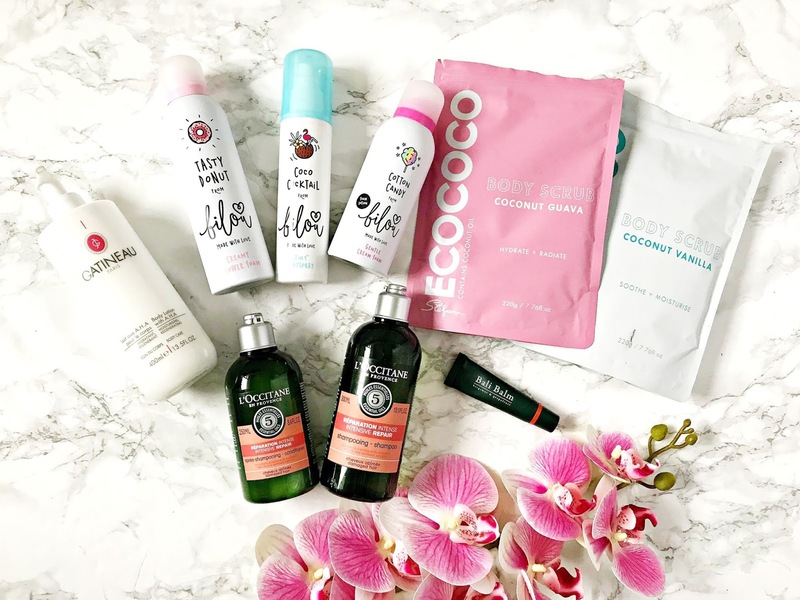 Everyday products don't always get a lot of coverage on blogs, probably because they don't seem very exciting but at the end of the day, they are all essentials so why not talk about them? I have some new products in my routine that I want to share my thoughts on with you today. It was my birthday recently and I was lucky enough to receive some beautiful gifts and I wanted to share the beauty ones with you today! 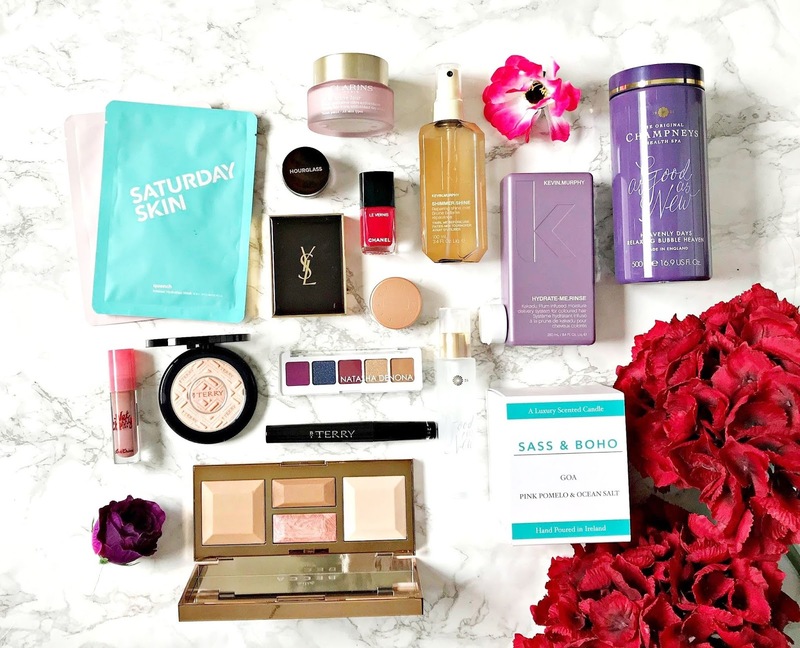 It may serve as inspiration if you have a birthday coming up yourself or if you have a beauty lover to buy for soon. 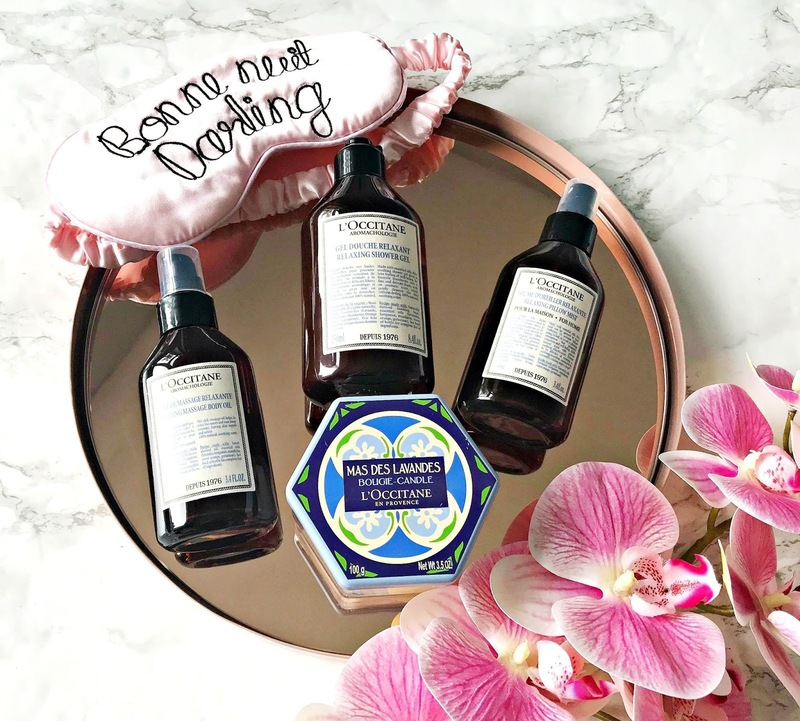 Post heatwave skin recovery featuring Omorovicza, Charlotte Tilbury & more! Now that the intense heatwave has finally left us, it's time to deal with the consequences! 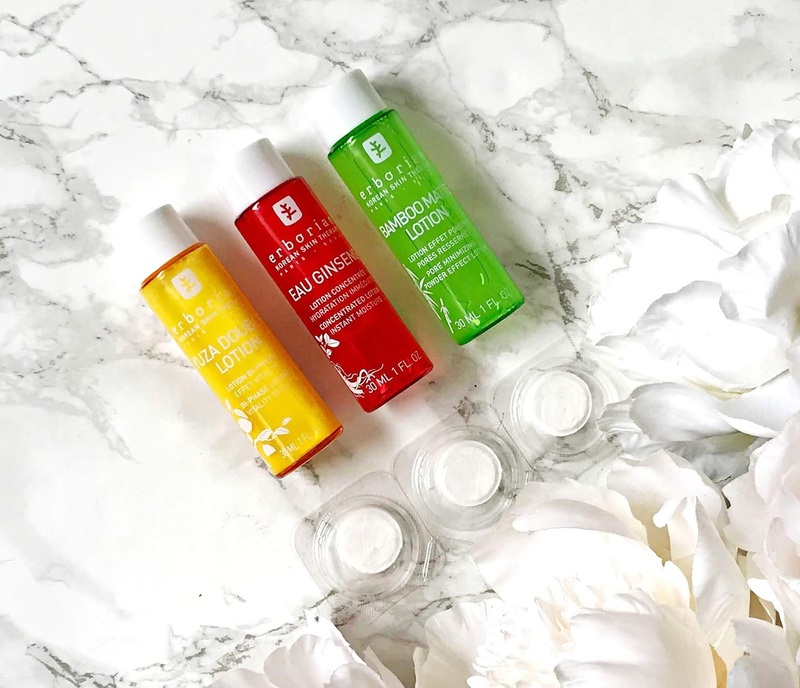 Congestion, dullness and dehydration are some of the issues that we are left to deal with so I wanted to share the products that I find most effective in dealing with these issues. When you have dry skin, finding the right foundation can be tricky because some can accentuate the dryness, which in turn ages the skin. Some foundations go patchy where they cling to dry patches, leaving a mottled look on the skin and others sink into the crevices of the face and highlight fine lines. 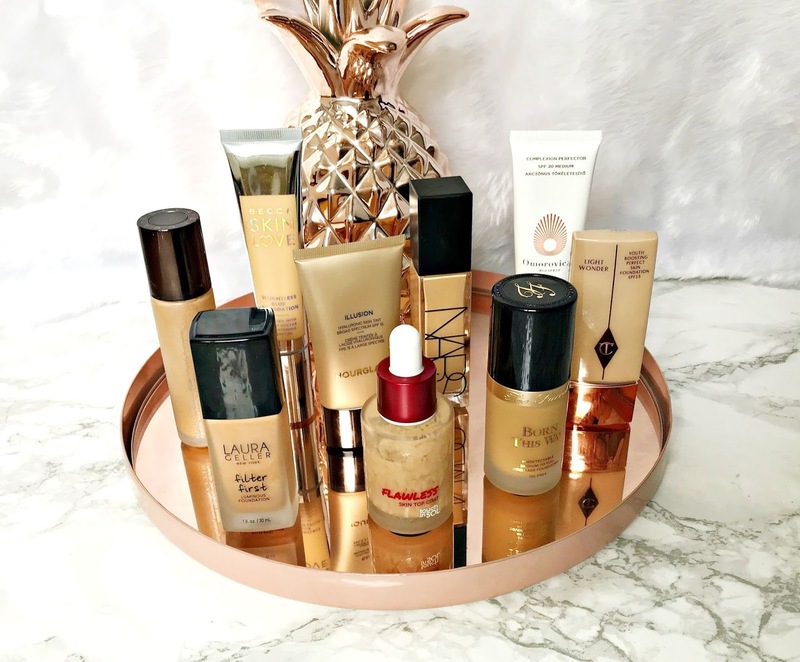 I've always had dry skin and have bought so many foundations that just didn't work for me but I have a nice selection to choose from now that I'm sharing with you today with varying degrees of coverage and types of finish. Of course, primer plays a part too but I know not everyone likes to use primers so I will do a separate post on those. 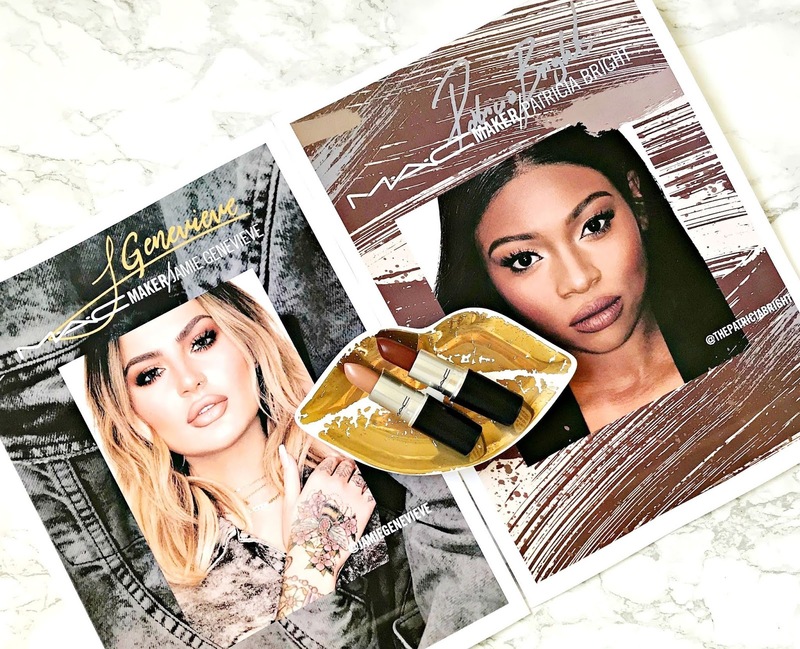 After the success of their previous influencer collaboration, MAC have teamed up with two new beauty youtubers to release two new limited edition lipsticks. They go on sale today and are exclusive to Selfridges, MAC Freestanding Stores and online. The two youtubers involved are Jamie Genevieve and Patricia Bright. These lipsticks are bound to sell like hot cakes so if you like the look of either (or both), you need to act fast! Read on for my thoughts on the lipsticks and swatches. Just the thought of applying a matte lip product even five years ago would have made me shudder. I have dry skin, dry hair and dry lips and matte lipsticks never did me any favours but things have come a long way since then and *comfortable* matte lips are now actually a thing. 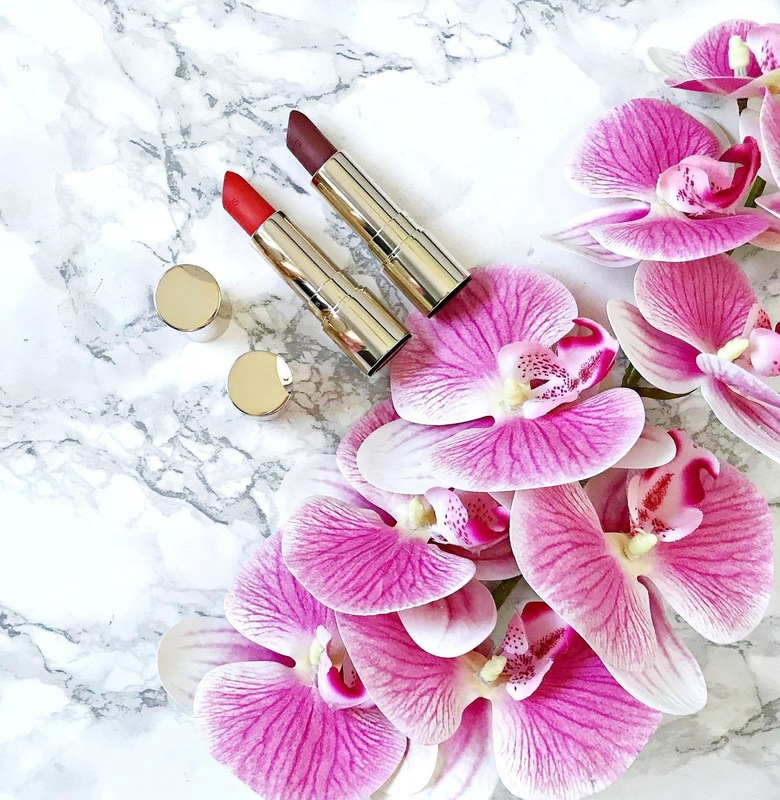 Clarins recently extended their Joli Rouge line with Joli Rouge Velvet lipsticks and I was kindly sent two that I want to share my thoughts on with you today. 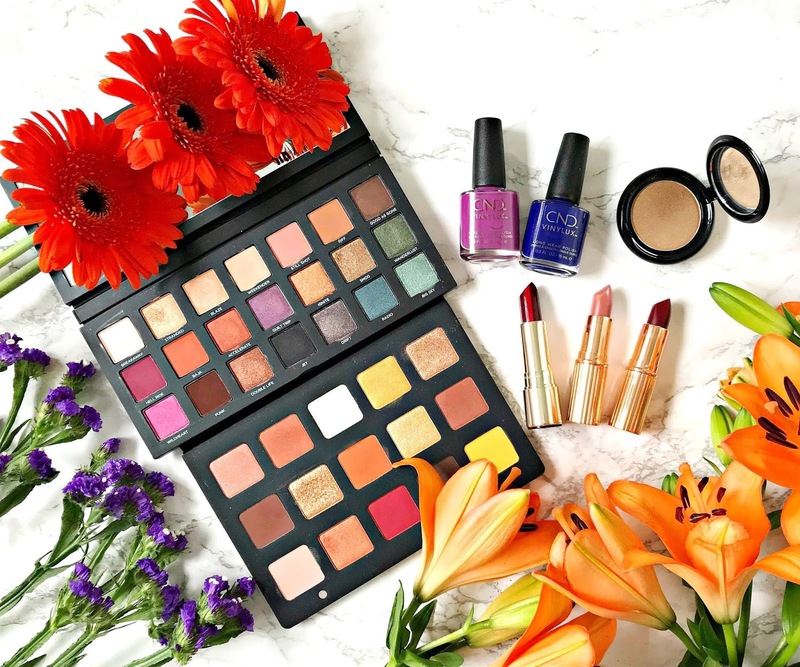 Every month, Cult Beauty has a Brand Of The Month, which means that there is free worldwide delivery on all products from that brand. 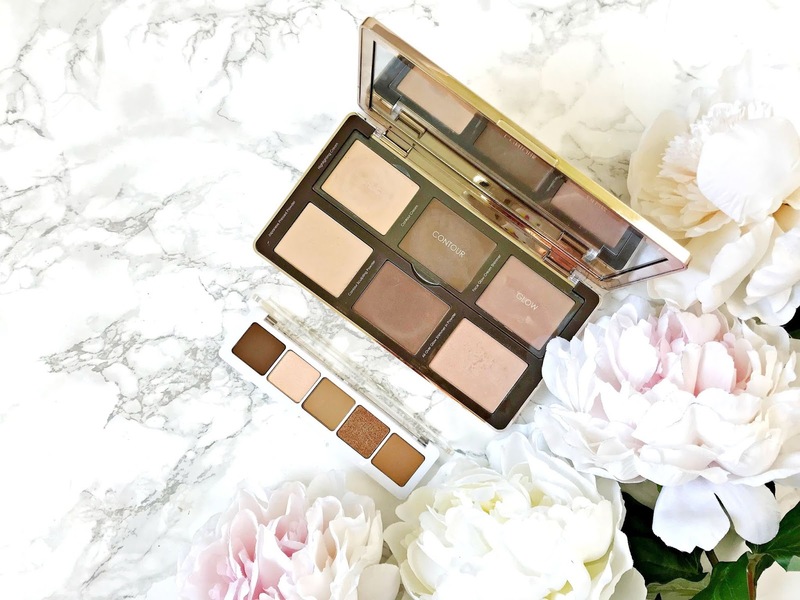 This month, it's Hourglass - a brand that I love so I wanted to share my five favourite products with you. 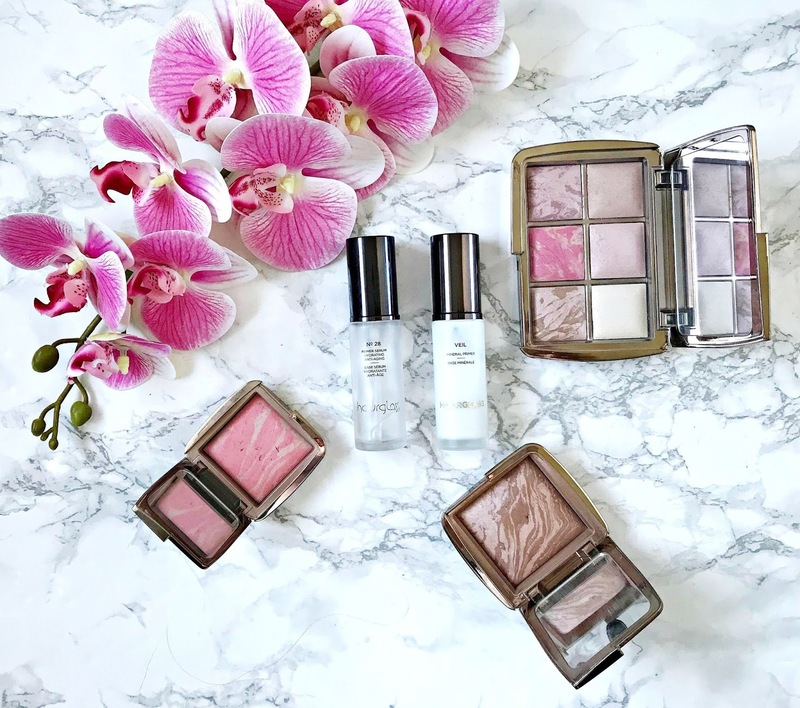 It wasn't easy to narrow it down to just five, especially as some amazing new products were released recently but because they are so new, I couldn't legitimately call them favourites.... yet!! This post isn't sponsored - I just wanted to share because I think the free international shipping is a good deal! 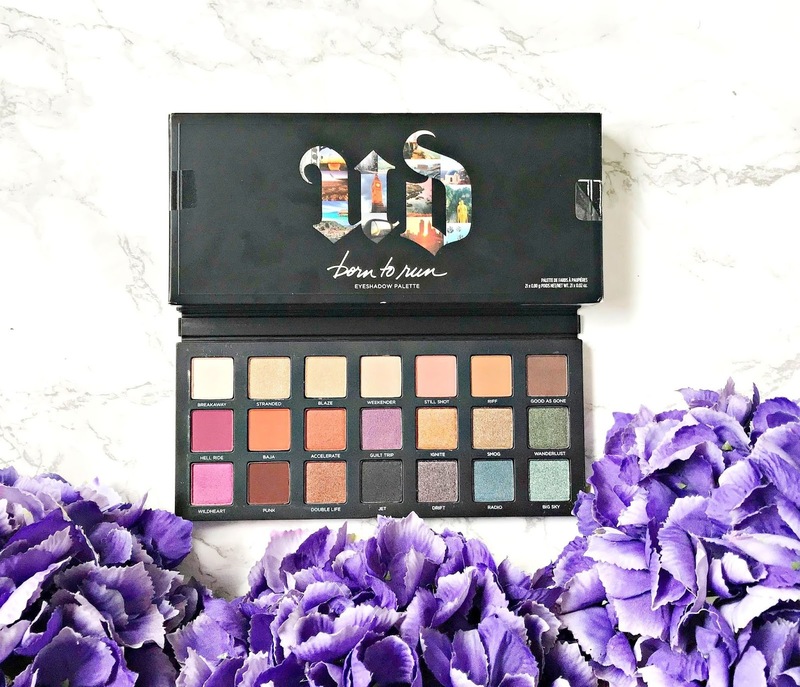 Unless you've been in hiding, you will have seen the latest palette release from Urban Decay - the Born To Run palette. 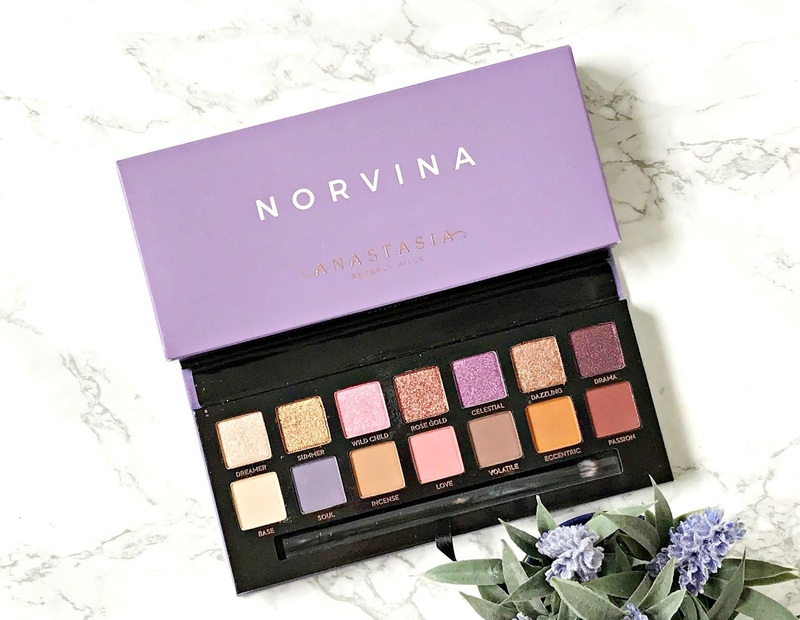 In a departure from their Naked line, this palette is larger and colourful and has covered every shade you could possibly want or need. 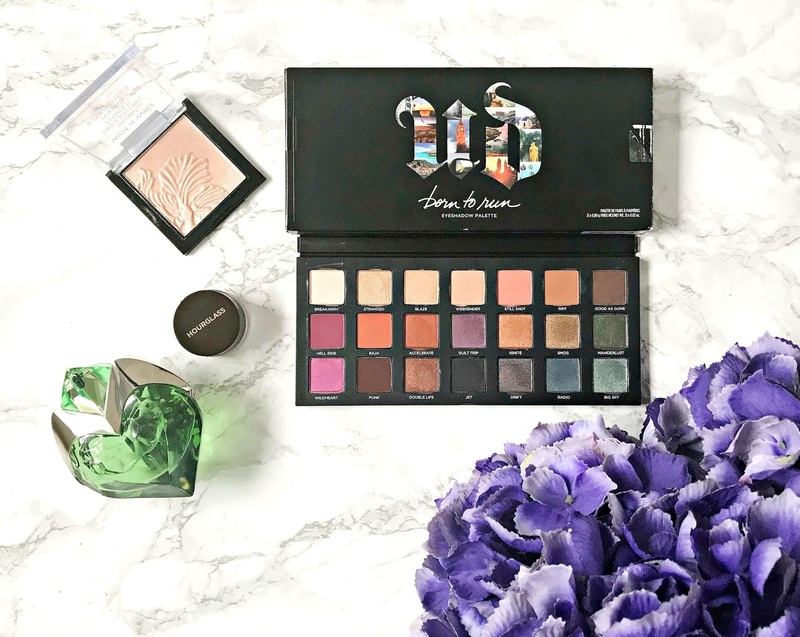 You all know that I'm a palette addict so I was delighted to get my hands on this one & I want to share my thoughts with you today! 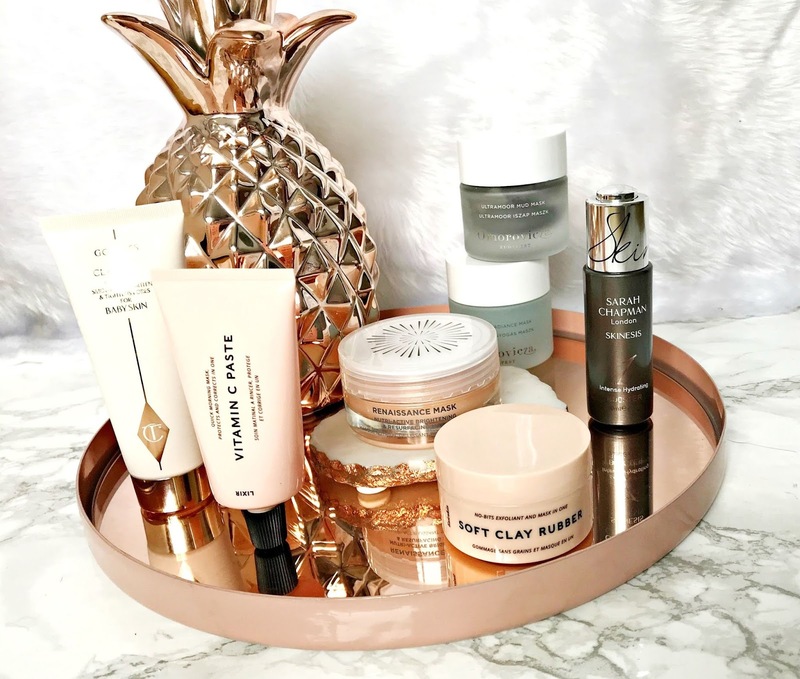 We've all seen how Korean skincare has taken the beauty world by storm over the last few years and one of the brands that I have been really enjoying is Erborian. Last month I was sent some of their lotions and also capsule masks, which I found really interesting because you can basically make your own sheet mask and customise it to provide whatever your skin is craving at that moment.